Greetings dear readers! 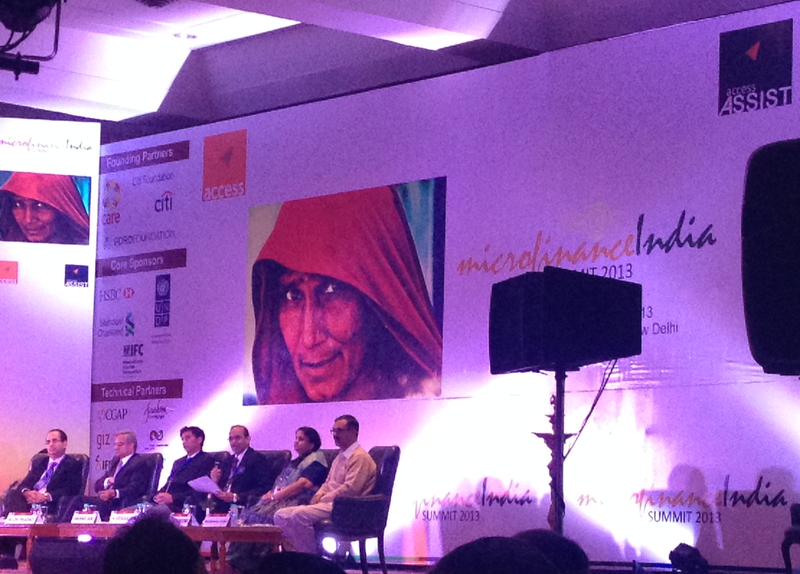 In the next series of blogs, we’re going to blog on ACCESS’ Microfinance India Summit 2013 and summarize the discussions through a number of panel sessions. We start with the opening session of the conference yesterday, where Tara Nair released the Microfinance India State of the Sector Report 2013. Tara Nair: We thought the financial inclusion program which seems to have gathered momentum over the past few years has appeared more frequently in the report than previous years. The first phase of financial inclusion seems to have worked in terms of households getting access to banking services – went up by 7.7 crore and was more in rural areas – 24% vs urban (17%). So we can see that the branch expansion strategy works- branch expansion has always led to increased financial inclusion. This strategy has changed in the sense of increasing branches as well as fostering a relationship with the community. Major trend is RBI being able to put forward a very significant set of regulatory guidelines which seem to have given hope to the sector that orderly growth is possible. Big NBFC MFIs have regained market confidence and picked momentum in client outreach and loans outstanding. Bank credit eased for MFIs and SHGs as well. Emergence of new forms of partnerships (SHGs – MFIs-government banks-tech companies – BCs) has been encouraging. AP based MFIs continue to experience negative or negligible business growth. Lopsided growth – regional as well as size bias in growth due to high penetration of microfinance in South India. Rising NPA levels of the SHG portfolio of banks. (7% in 2012-13) ,which is a serious concern as far as the SHG portfolio is concerned. Credit linkage has been reported by 60% of SHGs. No serious attempt was made to leverage the SHG-Bank linkage program to achieve the financial inclusion goals. We have also realized that there has been too much of a focus on cost effective delivery channels like the BC model, and as a result there is a feeling that perhaps the SHG model as a financial intermediary is losing its place. Do they have a new role to play? NABARD has given the impression that there is an increased cost of maintaining SHG federations. 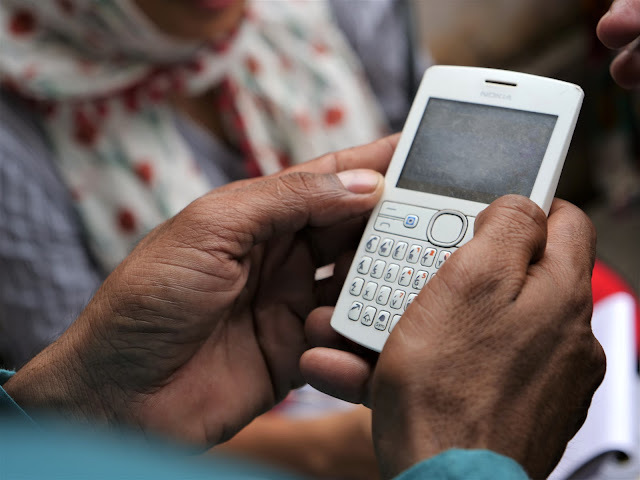 MFIs are facing the challenge of coping with the regulatory environment- continuous client data monitoring, reporting, technology adoption/up-gradation and building staff capacities as there are no investments in capacity building by MFIs themselves or the sector due to less availability of funds. ‘Specialized Banking Institutions for Small Credit’ – occasional paper by RBI on small-finance banks, which promotes a stratified banking structure and addressed specialized needs. Promotion of savings, which are going up because of the cleaning up done by banks with respect to non-performing SHG accounts. Unless we focus on promoting savings, we will end up focusing on loans and credit which wont be healthy. But, we don’t have evidence on what is viable and what will sustain over the long term. There were some initiatives to bring women back into the discourse by setting up a women’s banks and perhaps gendering finance is a serious agenda people are interested in. The Mahila Bank is already functioning in certain cities – how will this educate and enlighten the financial agenda? This seems to be an interesting theme to follow on. Responsible lending by NBFC MFIs- coordination and convergence in terms of instruments, methodologies and metrics. Increased focus on capturing individual data. More drive towards formalizing, standardizing and regulating the sector. Marginalization of different models and diversity we were proud of in early MF is facing a certain death. Convergence of the debates on financial inclusion and microfinance. MF legislation bill still not seen the light of day, which is a huge concern. MFIs want a more structured guideline to follow and hope for this being successfully achieved is becoming dimmer and dimmer. The Report provides good insights into the initiatives thus far and the way forward. The rising NPAs in SHGs is no big news as any such initiative with only money getting into the hands and not converting into assets lose out on sustainability. Unless corrections come in at least now, the future is not going to be bright for the SHGs and NABARD's ability to provide livelihood opportunities and build capacities on that platform is highly suspect. There are a few institutions in the non-governmental sector actively engaged in promoting producer cooperatives and producer companies in the rural areas with the active involvement of the National Skill Development Corporation and these throw up opportunities for growth with sustainability as they proceed with capacity building upfront and making the groups believe that they have to work for profit and not for charity and that they should not sacrifice their basics in their search for alms.